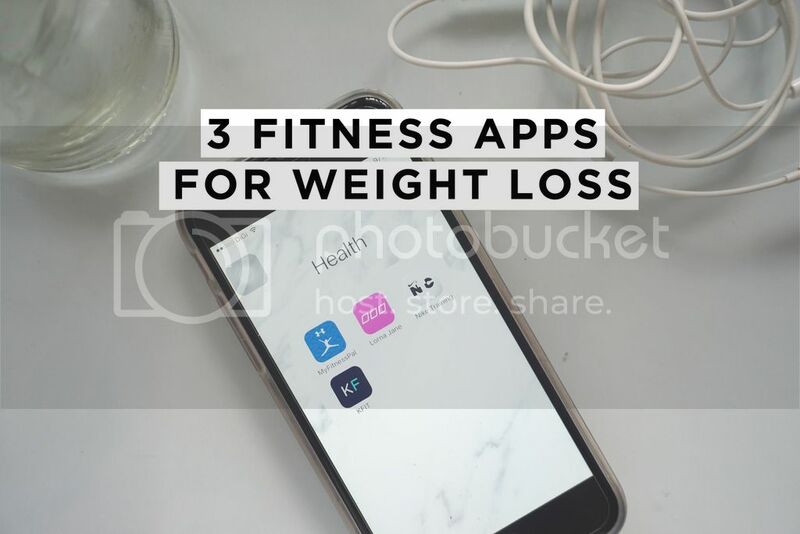 Ever since I decided to be all "fitness motivated", I've been on the search for good fitness apps that could either be my personal (digital) fitness guardian or to provide great work out plans which could assist me throughout my fitness journey. It's also, unexpectedly, a good fitness motivation. 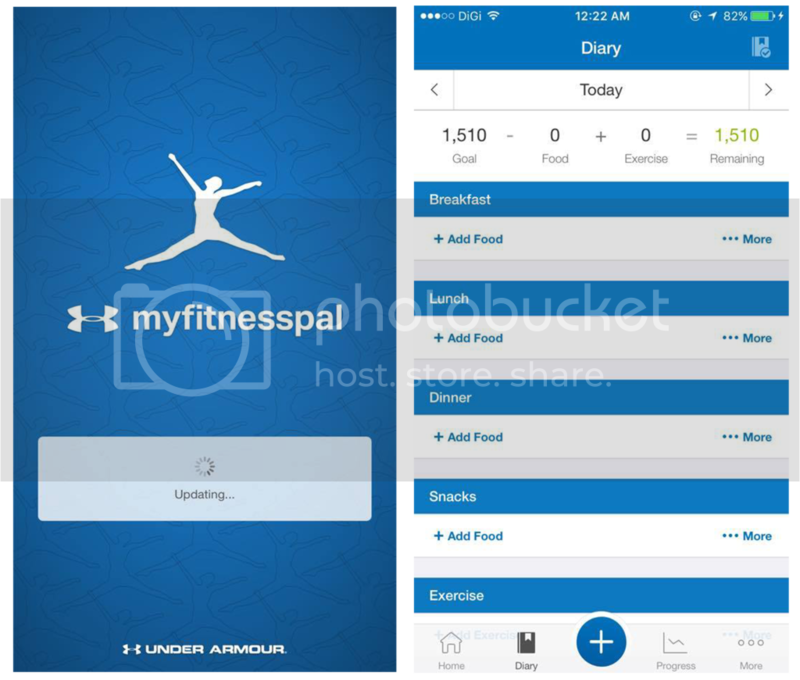 My Fitness Pal - If you are thinking of losing weight, lots of articles have recommended to use this to track your calorie intake as well as to keep a record of your weight. You will first need to key in your height, current weight and it tells you how much calories you are supposed to take daily. So it's pretty much like your personal "fitness pal" like the name suggests and it's really satisfying to see your fitness progress too. Lorna Jane - I don't get much use out of this but it has a really cute layout and it makes the whole fitness thing not at all boring. 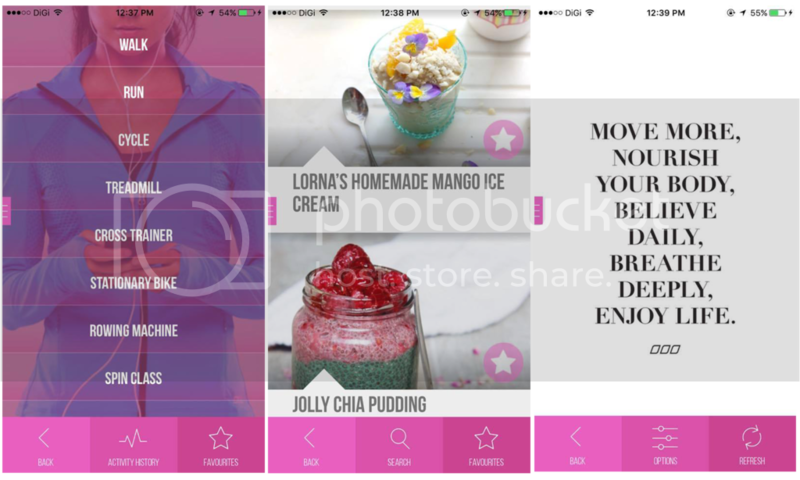 The app has a feature to track your movement while you...... move, and if you are a good cook (or a bad cook, regardless), it has some really good low calorie food recipes which you would definitely want to check out. I'm not a good cook but I use the "believe" tab on the app for motivational quotes - they come in pretty designs too so you can use them as your phone wallpaper for extra motivation. lol. Nike+ Training - This is basically a workout bible when you are at the gym. You can choose your preferred workout according to what kind of body you want to achieve (get lean, get toned, get strong, get focused) and its difficulty. It's pretty much like a one stop workout guide where you can just brainlessly follow and you are done for the day.